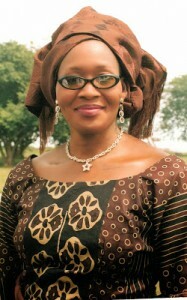 Canada deportee and controversial social media celebrity, Kemi Olunloyo has claimed responsibility for the cancellation of the rally scheduled to hold at the Lekan Salami stadium, Adamasingba in Ibadan. She advised the General Overseer of Nigeria’s largest pentecostal church, the Redeemed Christian Church of God (RCCG) to take the rally to Borno state in northern Nigeria. She said: “I simply told RCCG, I will organize a poverty PROTEST. Take that rally to Borno state. He’s heading to Ilorin now in his private jet. “#BREAKING Adeboye’s trip to Ibadan tomorrow CANCELLED! “No more rally at Adamasingba stadium. “This city does not need fanatism. She also described herself as Nigeria’s most hated woman, a title she said she shares with America’s reality TV star, Kim Kardashian. “I am the MOST hated woman in Nigeria now just like Kim Kardashian is the most hated in America. We are LOVING it. BE HATED! Don’t HATE! “RCCG COUNTDOWN: ZERO more days and its over for Pastor Adeboye. “Good Morning Ibadan. To all my REAL loyal fans in this city, THANK U for helping me SUCCEED in stopping Adeboye’s Expressway church from infiltrating our city. “We don’t need all that here. Our people are starving on the streets and many don’t have light or water. Adeboye is not planning to move around the city today to give to the poor. Instead, he is planning to cause fanatical gridlock around Adamasingba and a total disaster that will cost our city MONEY we have to pay the NPF to direct traffic and many of you stuck under Mokola bridge on your way to Shoprite for food shopping.